Texas Dump Truck Insurance. Nearly a half-million truck accidents occur each year on the nation's roadways - many of them involving dump trucks, according to the U.S. Department of Transportation. If you own a dump truck as a owner operator or you are a business owner with a dump truck fleet or other heavy-duty commercial trucks, you have made a major investment in your business - one that you must protect. 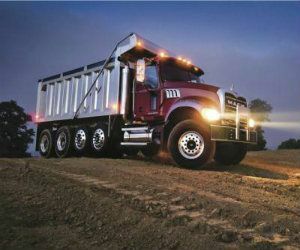 An Texas dump truck insurance policy that is specifically designed for your particular situation is a must. Texas dump truck insurance protects your dirt, sand and gravel hauling business from lawsuits with rates as low as $97/mo. Get a fast quote and your proof of insurance now. Although the rates you pay for your Texas dump truck insurance policy are based on the truck, including the make, model, and year and so on, and on its weight, it may also be based on things such as your driving history and credit. Coverage for dump trucks fall under commercial vehicle insurance, a general category of insurance. Dump truck owners, like the owners of other commercial vehicles, must carry liability Texas dump truck insurance in order to have these trucks operational on the roadway. Mishaps and accidents in these types of trucks can leave behind massive damage, which makes coverage essential. Since dump trucks are designed mainly for use in off-the-road applications, the design of these kinds of trucks means that collisions with regular vehicles can leave behind fatal outcomes. Each week in the U.S., the Bureau of Labor and Statistics reports that there is at least one fatality related to dump truck accidents. What Benefits Does TX Dump Truck Insurance Provide? Exercise caution when operating the TX dump truck. 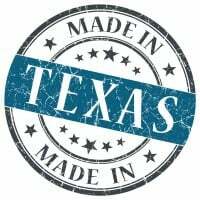 Request a free Texas Dump Truck insurance quote in Abilene, Allen, Alvin, Amarillo, Arlington, Austin, Balch Springs, Baytown, Beaumont, Bedford, Benbrook, Big Spring, Brownsville, Bryan, Burleson, Carrollton, Cedar Hill, Cedar Park, Cleburne, College Station, Colleyville, Conroe, Coppell, Copperas Cove, Corpus Christi, Corsicana, Dallas, DeSoto, Deer Park, Del Rio, Denison, Denton, Duncanville, Eagle Pass, Edinburg, El Paso, Euless, Farmers Branch, Flower Mound town, Fort Worth, Friendswood, Frisco, Galveston, Garland, Georgetown, Grand Prairie, Grapevine, Greenville, Haltom City, Harker Heights, Harlingen, Houston, Huntsville, Hurst, Irving, Keller, Kerrville, Killeen, Kingsville, Kyle, La Porte, Lake Jackson, Lancaster, Laredo, League City, Leander, Lewisville, Little Elm, Longview, Lubbock, Lufkin, Mansfield, Marshall, McAllen, McKinney, Mesquite, Midland, Mission, Missouri City, Nacogdoches, New Braunfels, North Richland Hills, Odessa, Paris, Pasadena, Pearland, Pflugerville, Pharr, Plainview, Plano, Port Arthur, Richardson, Rockwall, Rosenberg, Round Rock, Rowlett, Sachse, San Angelo, San Antonio, San Benito, San Juan, San Marcos, Schertz, Seguin, Sherman, Socorro, Southlake, Sugar Land, Temple, Texarkana, Texas City, The Colony, Tyler, University Park, Victoria, Waco, Watauga, Waxahachie, Weatherford, Weslaco, Wichita Falls, Wylie and all other cities in TX - The Lone Star State.